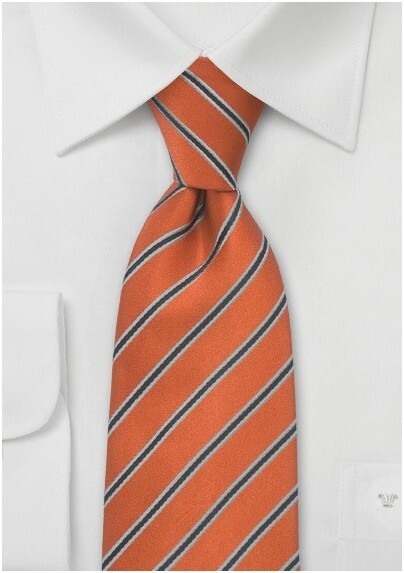 Add a pop of color to your Fall business look with this burnt orange and silver striped necktie by Parsley. The fine stripes in silver-gray are woven into the fabric and add nice texture to the tie. 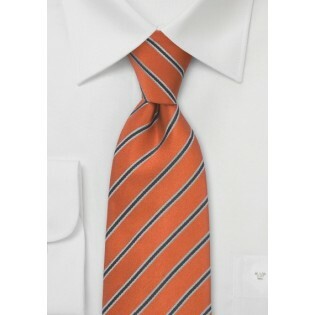 This tie looks best in combination with classic white shirts and suits in earth tones such as navy, brown, and olive. This tie is handmade from pure silk by Parsley and also available in close to a dozen other color combinations. Tie Length: 58", Width: 3.5"